The battle for NINJAGO City calls to action young Master Builder Lloyd, aka the Green Ninja, along with his friends, also secret ninja warriors. Led by Master Wu (Jackie Chan), as wise-cracking as he is wise, they must defeat the evil warlord Garmadon (Justin Theroux), who also happens to be Lloyd's dad. Pitting father against son, the epic showdown tests these fierce but undisciplined modern-day ninjas as they learn to check their egos and pull together to unleash the inner power of Spinjitzu. Players can become their favorite Ninjago character and experience the movie in a new, exciting way. 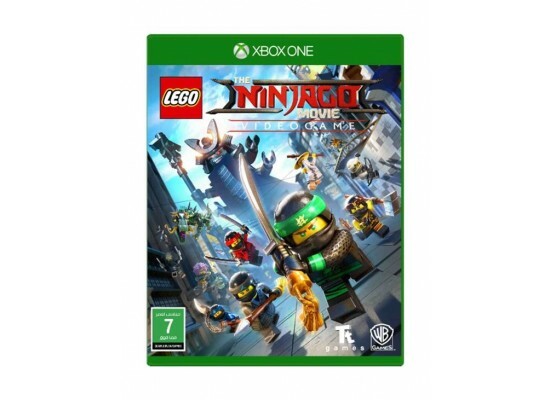 The game features eight large, action-packed locations based on the story of The LEGO NINJAGO Movie, each with its own unique Challenge Dojo where players can put their combat skills to the test and battle with increasingly tougher enemies. Players can go up against their friends and family in four different game modes with competitive split-screen local gameplay for up to four players.